During the 2018 Community Effort Orlando fighting game competition, Dragon Ball FighterZ surpassed the competition in terms of Twitch streams. CEO 2018 was held in Daytona Beach, Florida over the weekend, and seems to have been a great event for fighting game fans. It also provided some interesting figures on Twitch streaming – specifically, that Dragon Ball FighterZ had far more eyeballs on it than Street Fighter 5. This is especially impressive considering the Street Fighter 5 finals were the “main event” of the weekend. These viewership figures didn’t even correlate to the number of competitors. For example, Super Smash Bros. for Wii U had the highest number of fighters (679) but came fourth in viewerships (21,000). DBFZ had 663 entrants, by comparison. 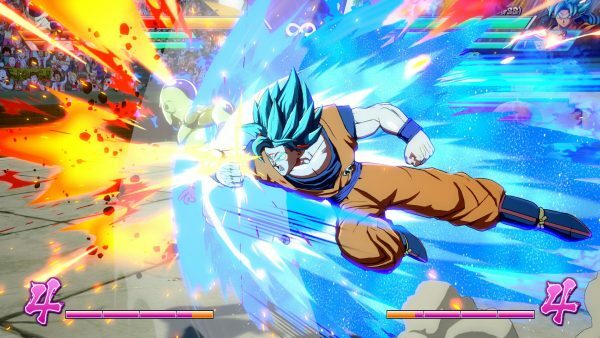 Okay, so lots of people were watching Dragon Ball FighterZ streams – what difference does that make? At a minimum, it suggests Bandai Namco’s prominence in the fighting game community is rising, especially with Soulcalibur 6 on the way. Meanwhile, Marvel vs. Capcom: Infinite struggled at launch, which might leave the studio behind the curve. Although that might change, considering Street Fighter 5 is only a couple of years old and a new announcement could turn things around. All the same, it’s good news for fans of Dragon Ball fighting games. The post Dragon Ball FighterZ beats Street Fighter 5 in CEO Twitch streams appeared first on VG247.